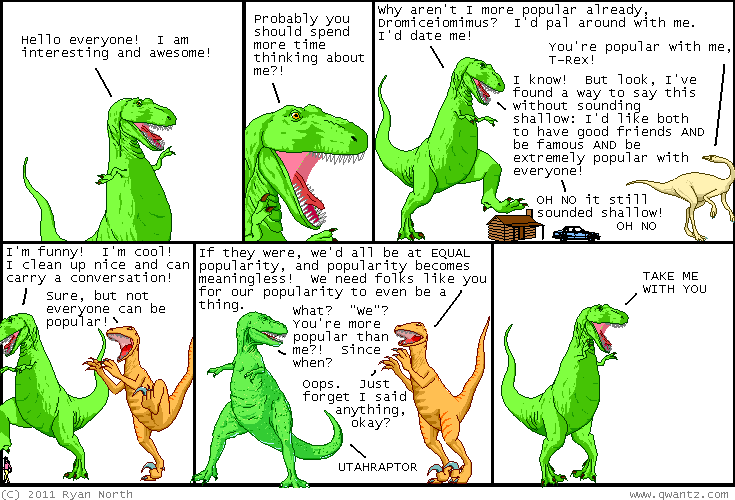 Dinosaur Comics - November 29th, 2011 - awesome fun times! November 29th, 2011: Here is a comic I wrote for you for November 29th, 2011! THIS IS THE ONLY COMIC I HAVE WRITTEN FOR YOU ON THIS DAY, so let us make it last the full 24 hours and ration the panels accordingly.